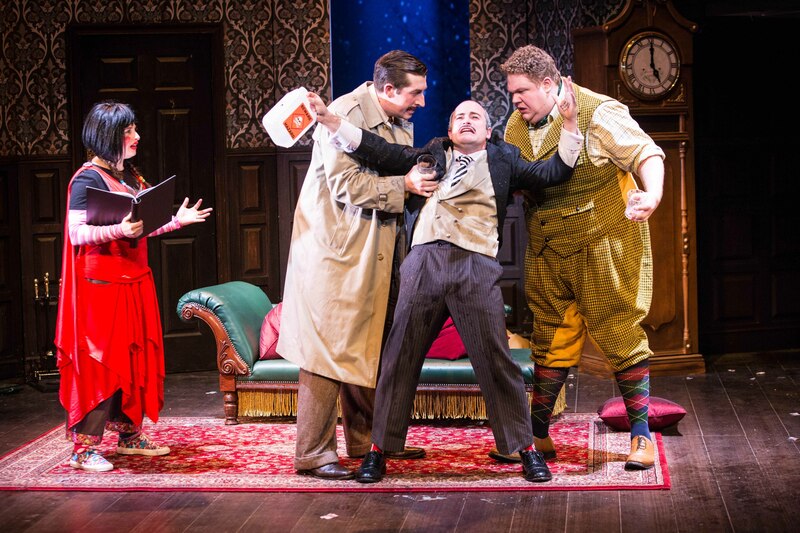 Mischief Theatre’s The Play That Goes Wrong has taken the world by storm, currently on in the West End, Broadway and on UK Tour, this originally improvised piece of theatre that wowed at the Fringe, is now an absolute must-see for theatre lovers. Capturing every single stereotype of an amateur dramatics society, the production is about the Cornley Polytechnic Drama Society who are putting on a performance of ‘Murder At Haversham Manor’ and it doesn’t go particularly to plan. With inexperienced actors and a set that is literally crumbling behind them, it’s a highly British slapstick extravaganza that has the audience howling with laughter. Opening the show, the director of the society Chris Bean, who is also playing the Inspector comes out to open the show. He delivers a hilarious monologue about the society’s rocky past when it came to their previous disastrous performances. Due to a lack of budget, their past performances of ‘Two Sisters’ ‘Cat’ and ‘The Lion and the Wardrobe’ they were delighted to announce that they had the exact amount of actors for their latest production. The set is rather lavish for an amateur society, providing a hopeful start for the actors when the curtain lifts to begin the show. However, the staging that has an upstairs study that is connected by a lift soon becomes dismantled by the clumsy actors. The characters are exaggerated in order to become a hilarious representation of these wannabe actors. Jason Callender plays Jonathan, who is supposed to be dead throughout the production, yet appears to spend more time on his feet, which he attempts to disguise horrifically. Alistair Kirton plays his brother Cecil who is having an affair with his brother’s fiance Florence. Kirton’s character is in awe every time his eye catches the audience, and his beaming smile which creates a pause in the performance every few minutes is both adorable and excellently funny. However, it’s the comedy timing of Edward Howells who plays Perkins that had everyone in stitches, as he fails to pronounce longer words and keeps referring to what is written on his hands in order to remember his lines. Edward Judge plays the other brother Thomas, an incredibly over-the-top character that doesn’t do anything subtly. As the set falls apart, he attempts to hold it together whilst also carrying on with his lines as if nothing has happened. 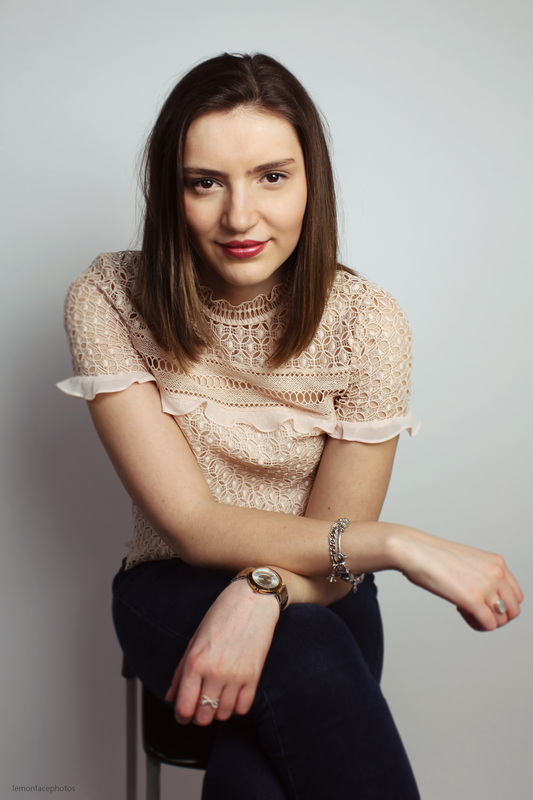 Meg Mortell plays the overly sensual Florence Colleymoore, until of course she is knocked out and has to be removed from the set via the window to be replaced by the stage manager (Katie Bernstein), who is shoved on stage with a script and an unflattering wig. Similarly, the Lighting and Sound Operator Trevor, played by Graeme Rooney whose lack of interest in the production and laziness creates many mishaps. It’s a spectacularly chaotic performance that is fresh, contemporary and exceedingly funny. On at the Wolverhampton Grand until Saturday the 8th of April, tickets and information can be found here. This was a very funny play, great performances by all the actors, they had the audience laughing throughout.